The Luxury sedan comes with a longer wheelbase and a wide range of interior and exterior updates. Being top end vehicle, the car has been made with luxury in mind. The rear seats are electrically adjustable and come with massage function and three settings. The rear also has increased headspace; soft door close, electric window blinds, LED reading lights and business tables. 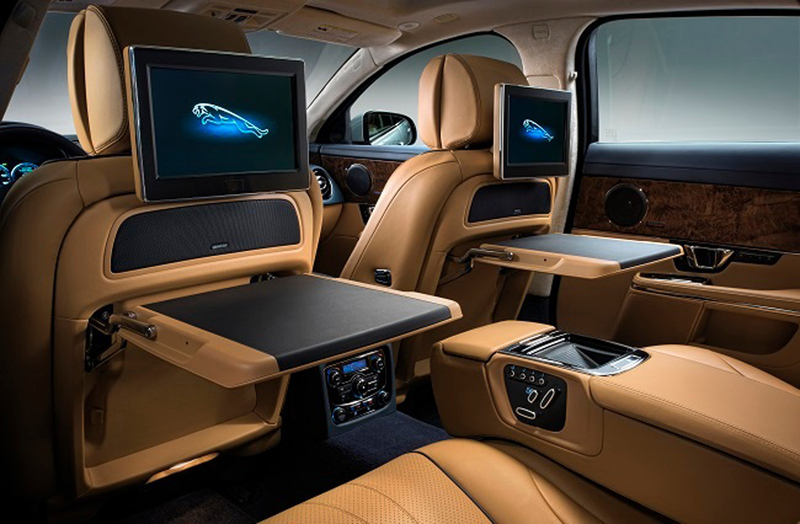 For entertainment needs, the XJ 2.0 provides twin 10.2-inch LCD screens at the back of the front seats. Coupled with the superior Meridian Sound System, the car will sure give an ostentatious viewing experience. At the heart of the XJ is a 2.0L four cylinder engine which is capable of producing 237PS and 340Nm of torque. It is mated to an 8 Speed automatic transmission. Jaguar claims their engine has low inertia, high-pressure fuel injection and twin variable valve timing. The interiors are functional as well as luxurious. Jaguar had previously released the Jaguar XJ 3.0L earlier this year. It was a diesel powered car and according to Suri; it was appreciated overwhelmingly by target audience. So if you have a Crore Rupees and want to have the pride of an Indian company owned, made-in-India Luxury sedan, then the Jaguar XJ 2.0 and the XJ 3.0 are the cars for you. Jai Ho.